Adoption of virtualization technology brings with it a variety of cyber risks, especially if you are virtualizing business-critical applications. With this in mind, many regulatory standards now contain requirements specific to virtual and cloud environments. 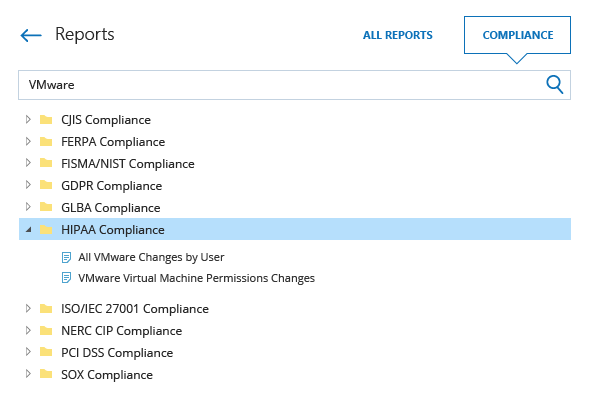 If your organization relies on VMware virtualization software, the compliance regulations you are subject to likely include VMware regulatory compliance requirements for implementing certain security controls in your IT infrastructure in order to ensure the integrity, availability and security of your information systems and sensitive data. Internal and external auditors will require proof that IT controls fulfilling the requirements of applicable regulations are — and have always been — in place. They will be asking questions such as who created a new virtual machine (VM) or who reconfigured one. Answering these kinds of questions with native logs can be challenging because native logs are sparse and difficult to interpret, and they can be overwritten due to short-term retention capabilities. Therefore, having control over who is doing what in your VMware environment and being able to review that activity in an easy-to-read format is essential for maintaining a compliance capable virtual environment. With requirements getting stricter, security and compliance assessments will only become more costly, time consuming, and difficult to pass if you have only native logs at your disposal. Accordingly, IT managers are looking for ways to both prove compliance and also make the overall process as easy and straightforward as possible.